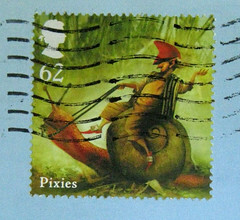 I know a lot of my blog readers are as addicted to Postcrossing as I am, so I had to share this as soon as I saw it. As for me, it's been a while since I've been able to have all my postcards traveling... I just don't have time to write them, and my current limit is 19. But all users get an extra postcard in their limit now, so in fact they just bumped me up to 20. It's a little holiday gift to everyone. Thanks for this. The graph really helps. I haven't sent for a while, and missed this big development.